The deepest principle of human nature is the craving to get appreciated! At Presidium Faridabad, we understand that a person who feels appreciated, will always do more than expected. Praising anybody for his or her task increases the confidence of receiver. The word 'appreciation' might appear smaller but it helps in achieving anything and everything. 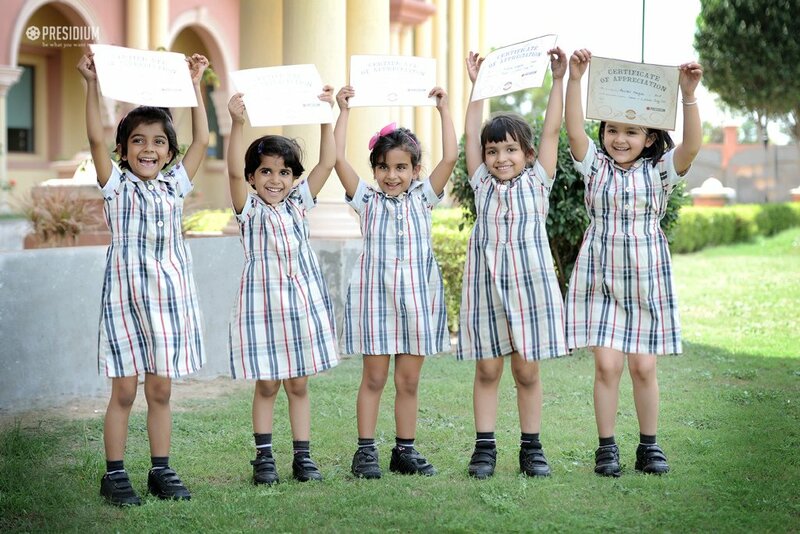 Taking this view into consideration, we organized Appreciation Day recently, wherein the students from grade Nursery to 3 were acknowledged with numerous titles like 'I am honest', 'best creative student', 'disciplined child' and 'well-dressed'. It was a nice way to encourage the students for their sincere hard work and achievements. 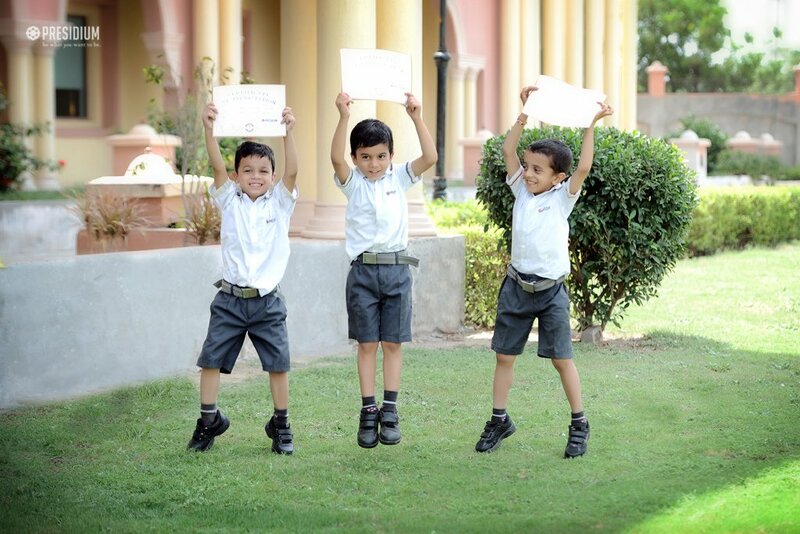 All the kids felt motivated after receiving the appreciation certificates and on seeing this, their peer group also felt inspired to perform better. Overall, it was a memorable day for the young achievers.